The Next Web has covered thousands of apps throughout 2012, from nifty new browser extensions, to fully fledged features on the latest game-changing Android and iOS apps, through to native-like cross-platform Web apps. But productivity apps always seem to get people’s attention, perhaps more so than all others. Anything that can help us get one-up on life is certainly appealing, so we sifted through this year’s archives and pulled out some of best. Join us over the next few pages as we share them with you. Don’t miss our other 2012 lists for more great recommendations. 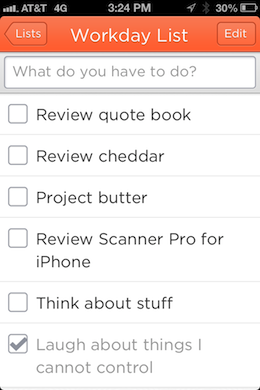 To-do list app Clear was announced for the iPhone in January and then came to the Mac last month. 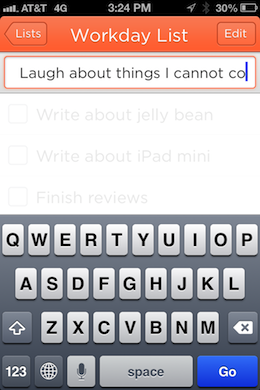 Clear is, at its core, a list app. 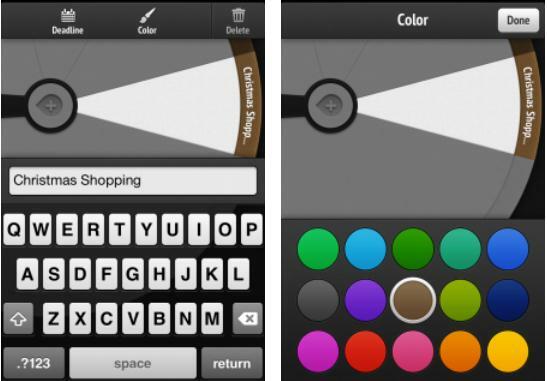 It allows you to create, check off and delete items in simple color coded lists. But that’s doing it a major disservice as its interactive elements are absolutely incredible. Clear for Mac is an unavoidably different animal to the iPhone edition but its super clever ‘pinch apart’ action is still there if you use a touchpad, but you can also simply hover your mouse cursor over the gap between two items and start typing, a new item will be inserted between the two. It’s super neat, and works on click or hover. 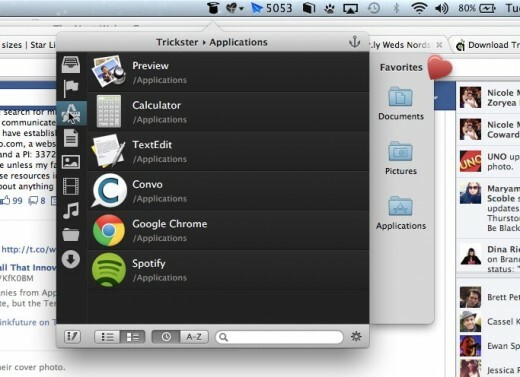 Trickster helps you find all of your recently used apps and files. The Mac app shows itself in your menu bar and keeps track of all the things you’ve used recently. Just click the app and there it is, ready to be clicked on for reopening or focusing. You can drag-and-drop files from Trickster to Finder or any other application. You can also open files and applications from Trickster, preview them or reveal in Finder. A cool addition is the ability to preset filters to only display images, audio files, videos, documents, applications, folders and specific locations such as Dropbox and download folders. Users can create custom filters too. Trickster is free to trial a basic version and, if you dig it, you can pay is $4.95 for the full version. Crosspost lets you simultaneously post to Facebook and Twitter, but there is a twist. This Mac menu bar app packs additional features too, ones that help differentiate posts between Facebook and Twitter, preview links and more. The app can help stop carbon copies of updates appearing on the two social networks when a Twitter account is linked with Facebook, which sees links shortened to t.co URLs and previews of the page disappear. Crosspost solves this by connecting to both your Facebook and Twitter accounts (also supporting Facebook Pages), displaying a small text box that awaits your status update. The app is primed to detect links as soon as they are entered, automatically converting them into a small preview ready for Facebook. If the link you wish to share is in your browser windows, hit the “Get from browser” button and it will grab the URL from Chrome/Safari/Firefox and drop it into your update. Sticky Notifications enables you to pin quick reminders to your Mac desktop. It’s a small menu bar-based app that lets you drop a quick note to yourself and ship it off to Notification Center. The note then appears as a sticky alert that stays in the top-right corner of your screen until you dismiss it with a click. This is a great way to remind yourself of something that you’d like to do before you leave your desk. Then, when you come back, it’s waiting and you can dismiss it and take care of the task. Dunno for Mac and iOS could change the way that you take notes forever. You’re probably familiar with note-taking apps such as Fetchnotes, letting you jot down your thoughts in free-form quickly. Even Apple’s own Notes app is handy for this, and this syncs to your Mac. The problem is that once you’ve taken the notes, they’re static. What if you could take a note and let a service do the rest of the work for you completely in the background? That’s where Dunno comes in to play. The interface for the desktop version is fairly simple. All you have to do is type down a note or thought and hit enter. You can then go about your business and come back to Dunno later. Once you do, you’ll find a series of search results from sources including Bing, Wikipedia and YouTube. 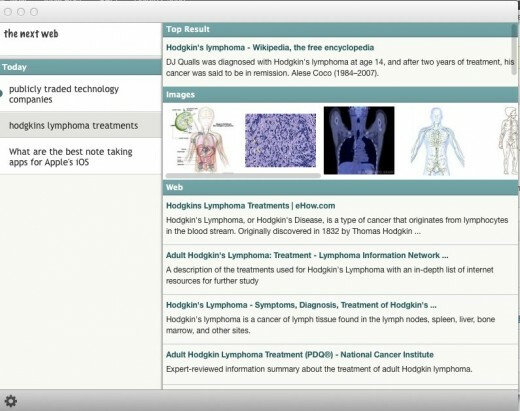 There’s also the ability to take notes and forget about them, and you can perform a range of research on any topic without having to stop everything that you’re doing to hone the results. Cheddar is a gorgeous and fast list app for iOS, Mac and the Web. It’s built around the premise that the moment you enter an item into a list, it’s published to your local list and pushed out to the other versions of Cheddar at the same time. The design is also pleasant on the eye, with typography that complements the list view, and everything about the app is built for speed, down to the details. The focus stays on the entry field even when you hit the ‘go’ button on an item, letting you enter one item after another without having to tap on it again. 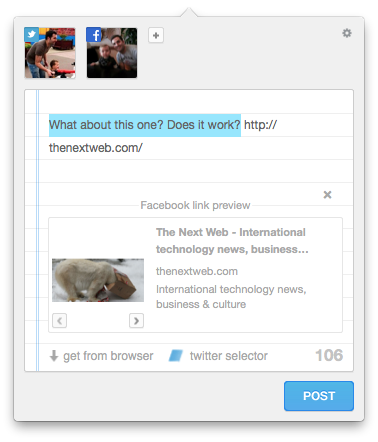 The field accepts regular text input, as well as hashtags for categorizing and Markdown shorthand for formatting. 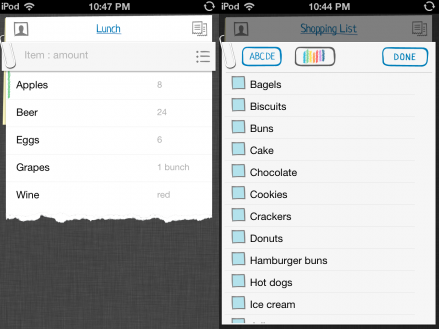 Buy Me a Pie lets you create, share and manage grocery lists with friends and family. It lets you create multiple shopping lists, either by manually entering the name of the food or by selecting from an in-built repository of food items. It automatically suggests a word after you’ve entered a few letters, and to convey quantities, you separate the item and number with a colon (:), for example “Apples:8″. But where Buy Me a Pie really comes in to its own is that a single account can be synced across multiple iOS devices, meaning if you leave home first thing in the morning having consulted with your significant other about what to pick up on your way back from work, more items can be added to the list without the need to send text messages back and forth. EmptyInbox for Gmail is an iOS app that helps you hit Inbox Zero. 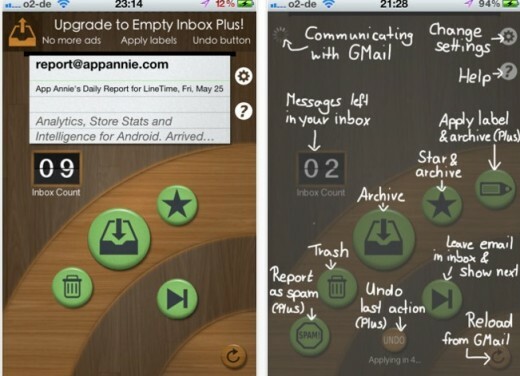 Taps and swipes are the name of the game here, as you easily manage where each email is dispatched to. You can archive the email if you know it’s not a priority, star-and-archive it if it needs action, or simply discard it. 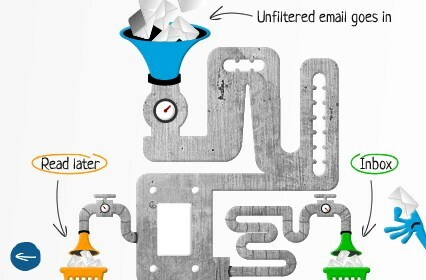 The next email in your inbox loads instantly and you repeat this until your email stream is cleansed. Timer for iOS offers a simple proposition: you need to time things, and it has the features to do so. 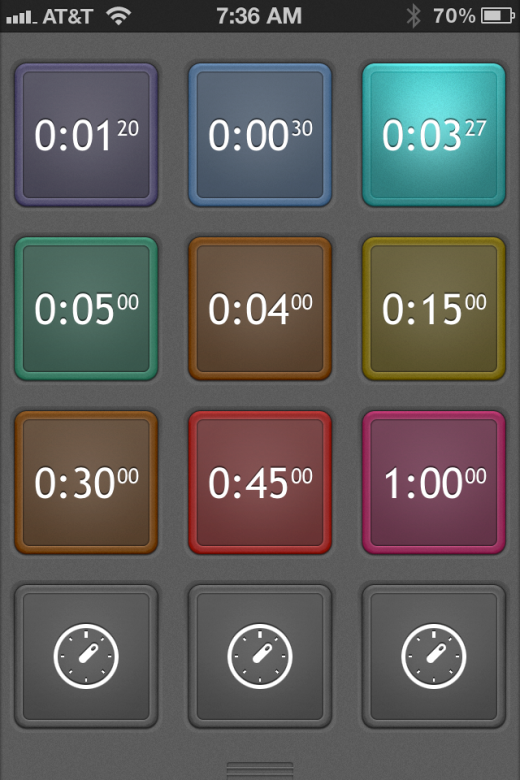 Timer is a utility app that features twelve buttons, each one representing a timer. Nine of those buttons are programmable presets and three are ‘one off’ jobs. 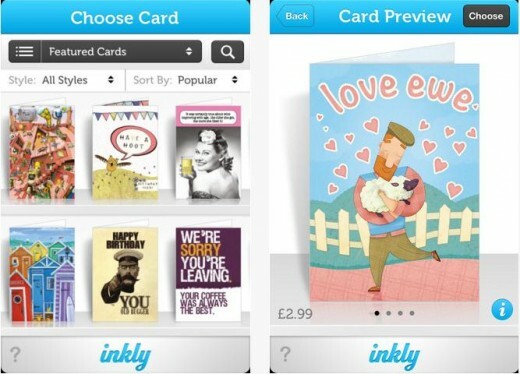 In a nutshell, Inkly lets you buy and send handwritten greetings cards directly from your iOS device. First up, you choose a card from the hundreds of designs within the Inkly app. You then take a handwritten message from a white piece of paper and snap it with the camera on your device. The app then removes the paper and leaves your handwriting, placing it on the inside of the card. Sooner is a gorgeous wheel-based to-do list app for iOS, merging a to-do list and agenda in a peculiar wheel-and-clock based interface. New to-do list apps sprout like mushrooms after the summer rains, and it’s hard for a newcomer to distinguish itself from the others through anything but an eye-catching design. So this is what Sooner offers, the main interface element of which is something in between a clock-face and a dartboard. Recall for iOS is a beautiful way to help you remember good music, movies, books and more. Four main sections greet you on launch, including Music, Movies, Apps and Books. Each of these contain the items you’ve asked Recall to remember for you. Each section features a + button that lets you add new items. When you tap it, you’re presented with a search box that will update live as you type to find something you’d like to track. In the music section, for instance, you’ll get a list of artists and albums that match your queries. 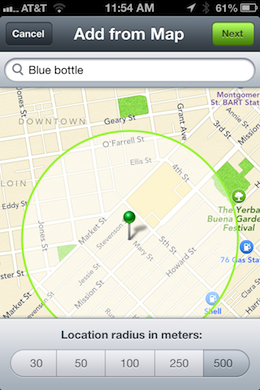 Checkmark is an iOS app that lets you set alerts based on location and time. It’s perhaps what Apple’s Reminders should’ve been. There are two basic ways to add reminders. You can do it based on a particular ‘Where’ or a time ‘When’. 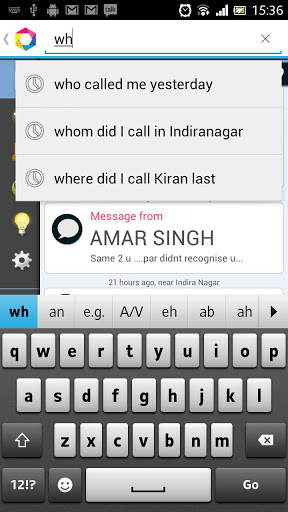 The ‘wheres’ are set by you using your current location, a contact’s address or by plugging it in manually on a map. You can also just drop a pin wherever. 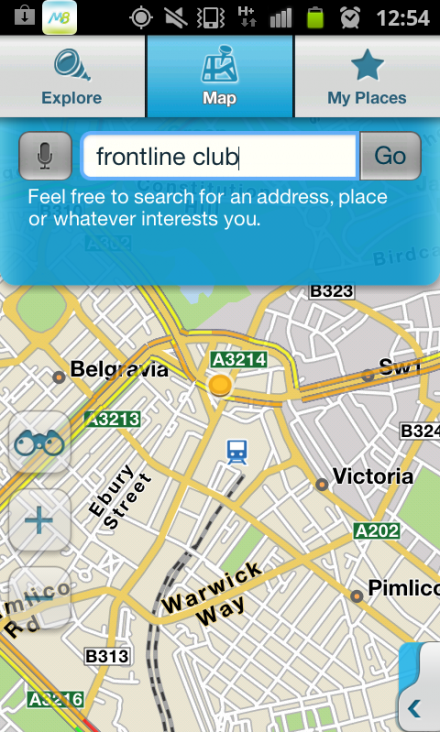 Once you’ve set up your commonly visited locations, you can add a reminder for it in just three ‘taps’. It takes three weeks to build a habit, apparently, and that’s what Obvious Corporation’s Lift is all about. 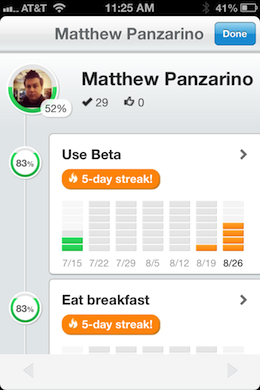 The app lets you choose personal goals that you would like to massage into habits. It then encourages you to check off each one that you partake in daily, tracking your progress and rewarding your continued pursuit of the goals with streaks, beautifully displayed graphs and interaction with friends on similar paths. Burner is a brilliant service for when you need a disposable phone number, but it’s iPhone only. These numbers, aka Burners, can be used for voice and text, and give a drop-dead simple interface for generating and disposing of your phone numbers. The numbers aren’t free, however. 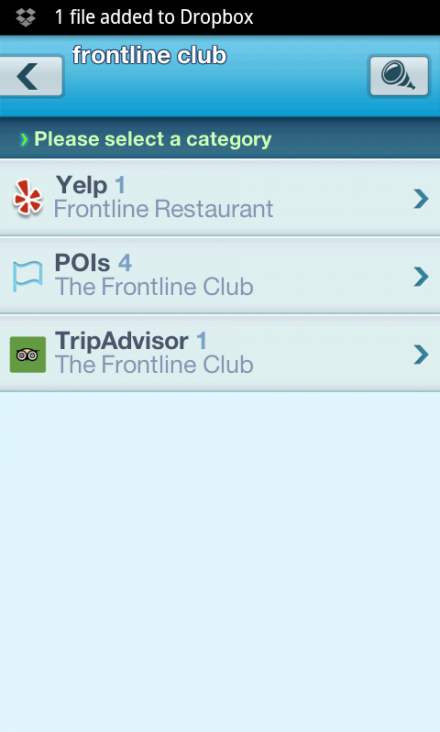 The app will set you back $1.99, and comes with enough credits to try the service. After that, you’ll have to buy credits through the app, with 25 costing you $11.99. You can also purchase additional time for any Burners you’ve created. Check out the official demo video below. Task management startup Todoist launched its official iOS and Android apps in November. The team behind Todoist did an awesome job of porting the bulk of its Web app features over to its mobile app. Drag & drop within individual lists, adding and reordering projects is included and it also comes with offline access, a must for any task management app. Intel-owned Telmap launched a neat app called M8, a neat satellite navigation app combining turn-by-turn directions with local information, traffic updates and more. It offers a rich stream of local information plotted on a map, so you can see exactly where the nearest car parks, ATMs, supermarkets – and everything in between – are. 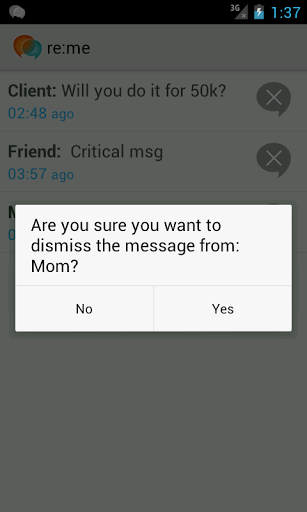 This Android app automatically creates a task-list of SMS messages you’ve yet to reply to, and it’s called Re:me. When you first install the app, your list of unanswered messages will be blank. It’ll only start from the point when you first launch the app, after which you’ll see the number of unanswered messages in your notifications bar at the top. You can tap on this notification directly, or launch the app from your homescreen. You’ll see a list of messages for which you’ve yet to respond, the oldest at the top. 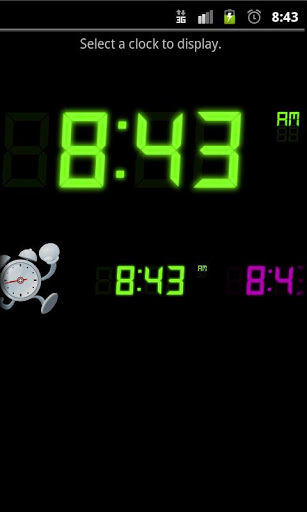 Each SMS has a time beneath it that counts up in real-time with each second that passes. This shifts the focus from unread to unreplied messages, and ensures you don’t forget to answer that all-important dinner invite. 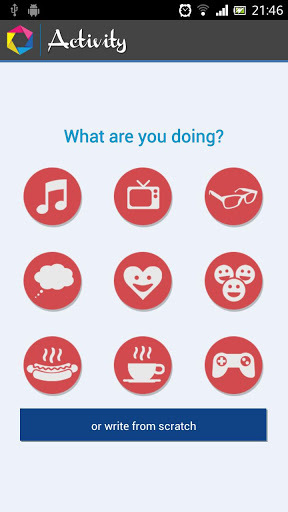 Friday is a beast of an app that Friday that lets Android users record their lives through their smartphone. As a location-aware app that detects pretty much all activity on your smartphone, you can have nearly every facet of your life plotted, documented and recorded for posterity. It buzzes in the background, remembering music that you play, places that you go, calls that you make and everything in between. You can then see exactly where you were when you last listened to that song you love…just one of many potential use-cases for this app. How many times does that 7.30am alarm call, timed to facilitate a quick cup of tea and toast with marmalade, translate into an actual 8.15am rise and smoke-from-your-heels sprint to the train station? More often than you’d care to admit, probably. Well, here is one simple solution that promises to help you out. Tapping the WiFi signal strength in your home to determine your position, Goob alarm will only switch off when you are close enough to your router, which means you physically have to get out of bed to deactivate it. Bounce wants to help you and your loved ones be on time for things. 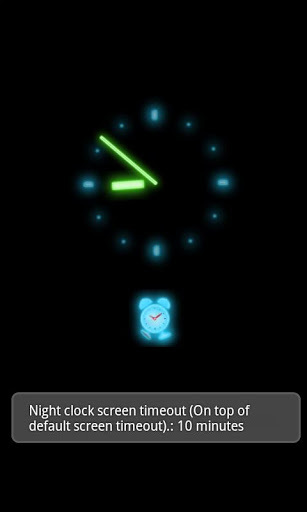 iPhone Bounce as a Gift: Help your loved ones be on time from Justin Wilcox on Vimeo. The upcoming mobile app uses Google Now-style notifications for appointments by monitoring traffic conditions in real-time to let you know when to leave. 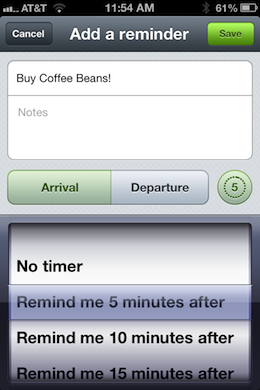 It also adds in a customizable buffer for all that extra time like walking to the car or finding your keys. 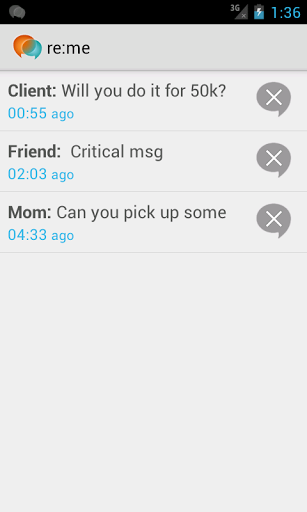 An early prototype is available now for Android, with an iOS incarnation on its way shortly. Check out the official demo video below. 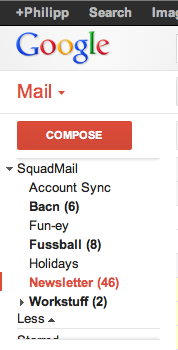 SquadMail is a little like Dropbox for email, offering an easy way to create and share email folders, or otherwise set up temporary silos to capture emails you don’t want arriving at your main email address. Every folder you create is assigned its own email address which you can use for your own ends to capture, say, daily-deals email, social networking messages or potentially spammy services. Another use case could be you and your housemates might be looking to rent a new flat somewhere, and this can be a good way of centralizing all your communications with estate agents. From an enterprise perspective, it could be used to give company or department-wide access to inbound emails for temporary events such as recruitment drives. 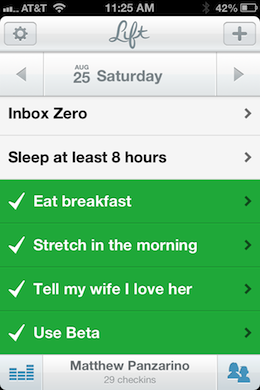 Sanebox helps you manage your inbox, and is compatible with any IMAP email account. Sanebox essentially serves as a massive filter, defending your inbox from the deluge of email you no doubt get. It creates a separate folder in your email account and, as email arrives in, SaneBox decides if it goes into the bin, the folder, or if it stays in your inbox. You can check the filtered emails any time you want by going into the folder, and browsing. They aren’t deleted. As you may have guessed, your inbox will become much quieter, but how does Sanebox know which emails to filter out, and which to keep? Well, it scans every email in your whole account – which obviously takes some time the first time your run it. You then link up your social networks (yup), after which Sanebox draws relationships between people you’re connected with. Hypejar is a Wikipedia-style repository for upcoming product launches. Say wha’? This future-gazing Web app will tell you anything that’s about to launch, it could be a new gadget, movie or album. It’s like a cross between Pinterest and Wikipedia for upcoming products and, a few navigation issues aside, it has been really well put together. It may still be early days, but Hypejar is one to watch. 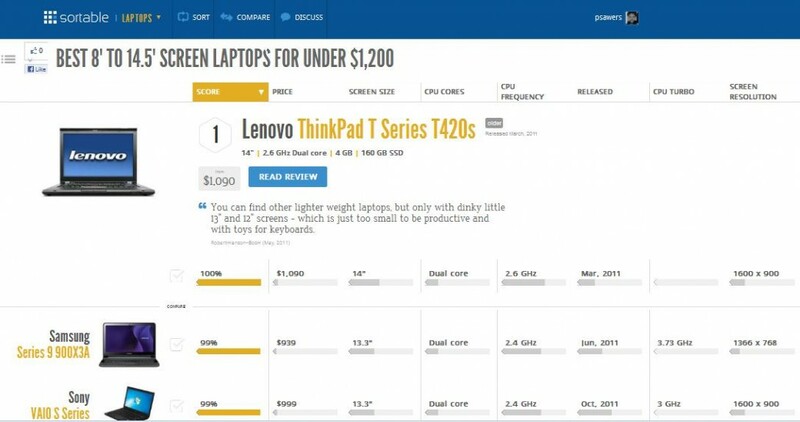 Sortable helps you compare gadgets before buying, using impressive visualizations in the process. It’s essentially a decision-engine to help the online masses arrive at the best conclusion regarding what product to buy, with gadgets the main focus of the Web app – cameras, phones, tablets, laptops and TVs are the order of the day. 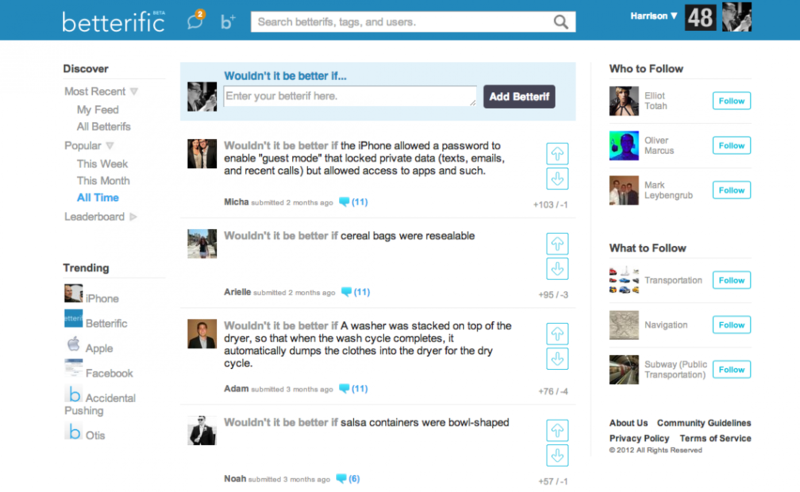 Betterific promises to help you share ideas for making products and companies better. After presenting at DreamIT Ventures‘ demo day in Philadelphia, Betterific rolled out of beta after raising $650,000. 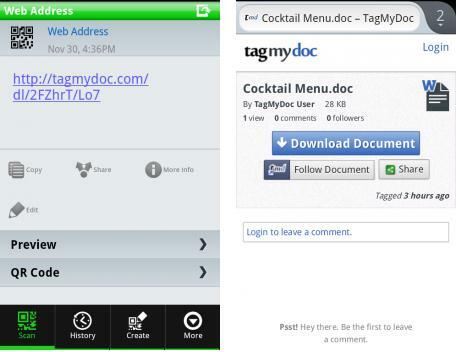 TagMyDoc takes QR codes and makes them useful, with its document-tagging and sharing Web app – it’s designed to let users easily share physical documents with multiple people digitally. A typical scenario could be this – you have a single printed Word document at a meeting of, say, 15 people. Rather than going through the rigmarole of procuring email addresses to send a copy to everyone, the attendees can use their mobile phone to ‘scan’ the document and receive a digital copy, there and then. 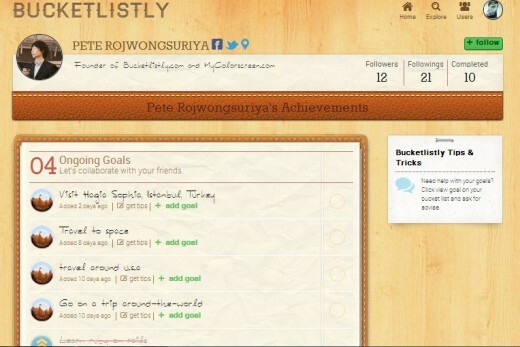 Those of you that like to challenge yourselves by setting goals (and/or bucket lists) will be interested to learn of Bucketlistly, a neat Web app that lets you post your long-term goals, and then strike them off and distribute them across social networks as you surpass them. We’ve long waxed lyrical about Boomerang, the suite of productivity tools from San Francisco-based developers Baydin. 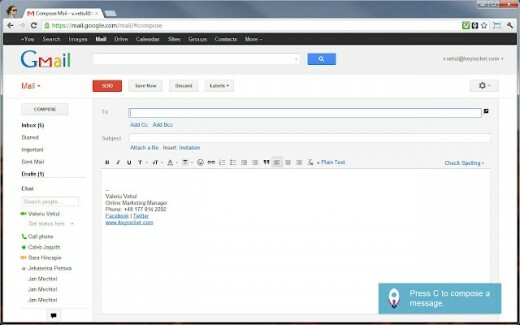 There’s Boomerang for Gmail for starters, which lets you send email at a later point, or choose when you receive it. 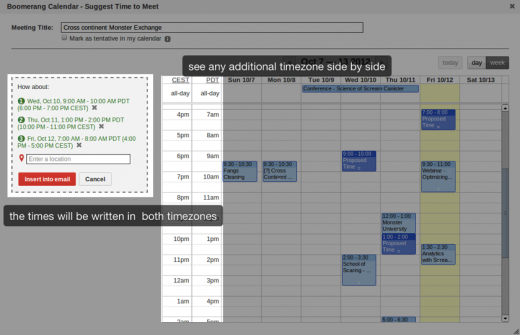 Then in October, Boomerang Calendar launched into public beta, offering a plugin which transforms Google Calendar into what it should really have been in the first place. 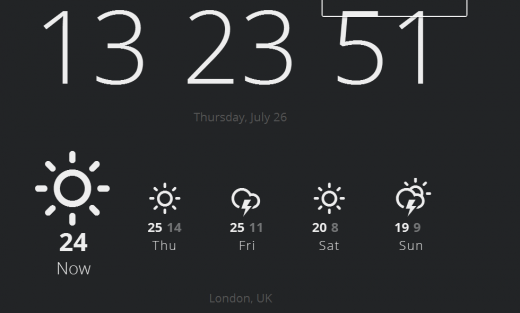 Currently offers a beautiful interface containing just two pieces of information – the time and temperature. Once you have installed the app, you’ll likely want to dabble with the settings to suit your location – Fahrenheit or Celsius? 12-hour or 24-hour? Dark, light or blue background? And what about ‘seconds’ or ‘animations’? It’s a beautiful extension that keeps you informed of two key pieces of information. This Chrome extension is for when you temporarily want to pause incoming email in Gmail. Simply install the Inbox Pause extension, refresh your Gmail and you’ll notice a Pause button alongside your Mail drop-down menu. When you click that button, new messages will stop arriving in your inbox. Instead, they’ll be held in a special label until you are ready for them. Transcribe is an awesome audio-transcription Web app for Chrome, one that works entirely offline – which allayed initial fears that this tool would be heavily restricted by a dependence on connectivity. You choose a file from your computer – mp3 or WAV, and when you’ve selected it, an audio player pops up at the top of the screen, which can then be controlled using the keys on your keyboard. Shortcuts for Gmail is a neat Chrome extension that tells you when a mouse action has a keyboard shortcut. Once you install the extension, you’ll see little pop-up messages at the bottom of your screen after you perform a certain mouse action. For example, if you click on the ‘Compose’ button to start a new message, you’ll see a notification that reads: ‘Press C to compose a message‘, so you’ll know next time. Insync for Gmail offers a super simple way to store your email attachments in Dropbox and Google Drive. The Chrome app adds an Insync link next to your Gmail attachments’ download link. Clicking the link then opens up a menu that allows you to select a folder to sync your attachments to. Wunderlist is in a category of its own, purely because it provides native apps for most of the popular platforms. It was way back in November 2010 when we first reviewed the Mac OS and Windows desktop apps for Wunderlist, a gorgeous task-management service courtesy of Germany-based 6Wunderkinder. “Simple, easy and beautiful” were the three words that sprung to mind a the time. A lot has happened since then, but the fruits of all its recent labour have just been realized, with the news that it has announced a rebuilt, redesigned task-management app… just in time for Christmas. 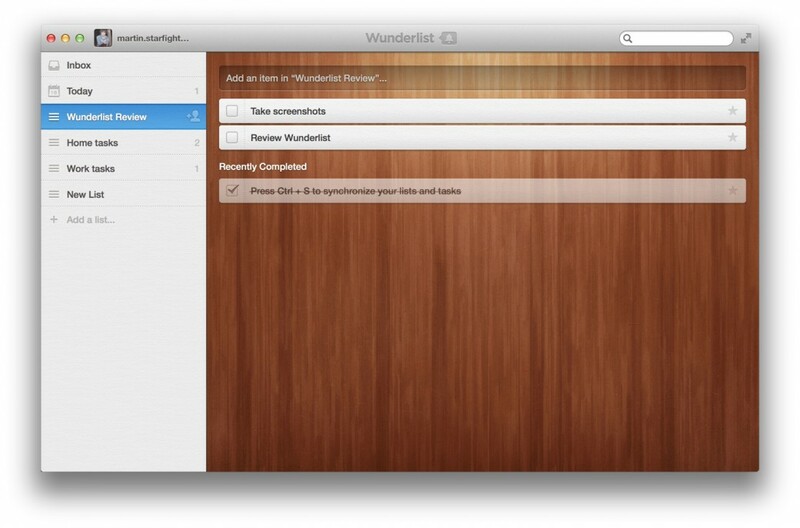 The brand new version 2.0 of Wunderlist went live earlier this week. Hopefully you’ll be able to find at least a few apps here that have thus far escaped your radar. And if you want to check out the best music, travel, media, education, employment and photo apps of 2012 too, be sure to keep tabs on our upcoming roundups over the next week or so. Disclosure: This article contains affiliate links. While we only ever write about products we think deserve to be on the pages of our site, The Next Web may earn a small commission if you click through and buy the product in question. For more information, please see our Terms of Service.